It is with great sadness that the family of Philip De Rudder announce his passing on January 23, 2018 at the age of 76 years. 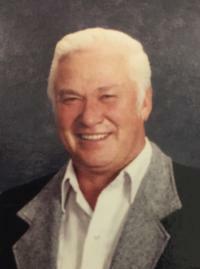 He will be lovingly remembered by his spouse of 55 years, Cathy; children: Camile (Carla), Darcy (Karen), Dennis, Randy (Lorraine), Corey (Jodi), Linda; 22 grandchildren: Justin, Dylan (Michelle), Lynae, Jamie, Kayla, Kassandra, Charissa, Brant, Vanessa (Chris), Amanda (Justin), Christen, Brayden, Brett, Ray, Matthew, Casey, Zachary, Colby, Jaelyn, Joe, Corey (Tiffany), Darcy (Amy); 4 great grandchildren: Brooklyn, Chaseton, Emily, Katie & Baby “D”; brother, Thomas; brother-in-law, John; as well as numerous relatives and friends. Philip was predeceased by his parents; brother; three sisters; great grandson, Peyton; as well as numerous relatives and friends.